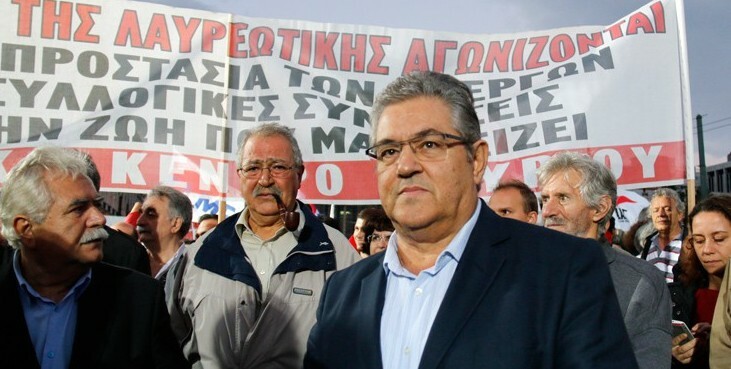 In Defense of Communism: KKE GS D.Koutsoumbas: "The Greek people must throw in the trash the lies and the propaganda of the government"
KKE GS D.Koutsoumbas: "The Greek people must throw in the trash the lies and the propaganda of the government"
"The Greek people must throw in the trash the lies and the propaganda of the government, the conclusions of the various alleged specialists, the pressure of the creditors, of the EU and the IMF and engrave its own way of struggle. 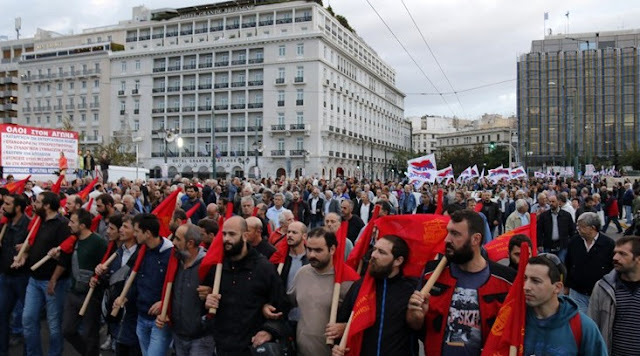 General uprising everywhere, with the working class on the forefront, in alliance with the other popular strata, aiming against the monopolies and the capitalist way of development itself which brings poverty, crises, unemployment. There is no other solution, there is no other way out". 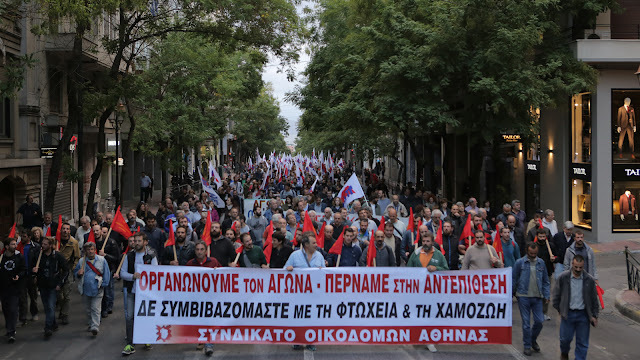 Thousands of people participated in mass demonstrations held in Athens and other major Greek cities, against the antipeople measures of the SYRIZA-ANEL government. More than 500 labour unions, centers and organisations jointed the protest rising their voice in defense of the collective contracts and the demand for stable jobs with rights. Among other speakers, including trade unionists and workers' representatives, the President of the World Federatio of Trade Unions (WFTU) George Mavrikos delivered a salutatory speech.